Do you live in Pearland, Texas, Harris, Fort Bend and Brazoria counties, and need a super-duper plumber? Every homeowner who lives in his home for a significant period of time experiences leaking pipes, clogged drains, and broken pipes. If you have any of these problems, our plumbing services are meant just for you. We have in-town plumbers that are fully geared to helping you regain the smooth operation of your drains or water heater. One of the most used appliance in a home is the water heater. While most of these devices last a long time without breaking down, they do start having problems at some point. That is when one requires the services of a skilled plumber. If your heating system is leaking, has strange noises or is running out of hot water, call our plumbers immediately to repair or replace it. Most people have 40 or 50 gallon hot water heaters that work hard to supply the home with its heated water needs in the kitchen, bathroom sinks, and most importantly the shower. 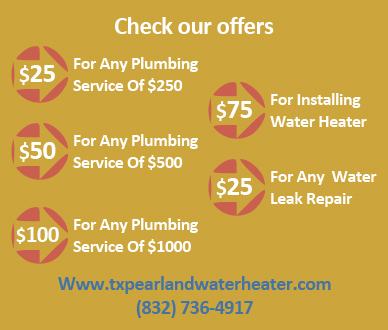 If your home all of a sudden isn’t receiving adequately heated water, you should call our plumbers to help you in Pearland TX. One of the major issues we hear is hot water heater problems. This is common from people who have old units. If your unit isn’t supplying your home with its needs and you are having to take cold showers sometimes, we can help you. We have a lot of experience in repairing this unit and can get it working well again in Pearland TX. 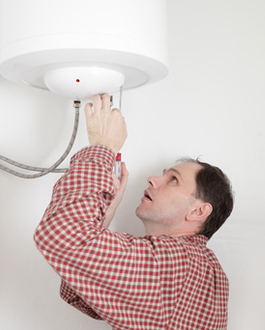 We take time to do water heater troubleshooting whenever we come to your home. We don’t rush, but thoroughly and carefully check to make sure that we identify the source of your problem. Once we find it, and we will, we make a proper recommendation, repair or replacement. A leaking water heater can waste a lot of water and is bad for your pocket book. 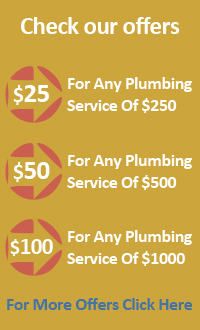 Our plumbers can help you stop the leakage and would in essence help you save a lot of money over time. It has been said that a drop spilled every second can amount to almost 2,000 gallons of water wasted per year. We take your water loss seriously and rush to your home when you call us. 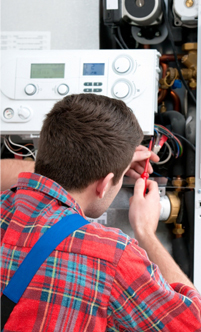 We can conduct extensive, effective and targeted hot water heater repair. We know exactly what to look for when a customer complains of leakages. Depending on whether the leak is on top, side or underneath your tank, we can repair it. Otherwise you might be looking at replacing the unit.